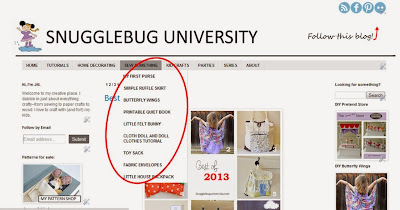 Snugglebug University: A New Look for 2014! I've been working hard the last week or so on a big project...making my blog less cluttered, more organized, and easier for you, my readers! I've gained a whole new appreciation for coding and web design (and the hubby, who works with computers all day long). Here's a look around my "new" design. First, you'll notice there's two ways to follow the blog. You can see the buttons on the top header, which is where you can follow this blog by feed, facebook, or pinterest. 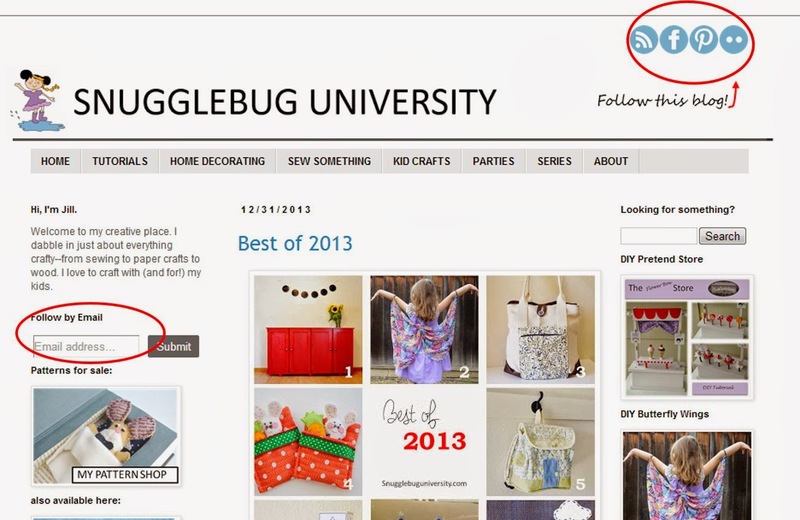 You'll notice a new button, which is a flikr group for Snugglebug University. If you made something using a tutorial or idea from this blog, feel free to post a picture on this group! It's a great way for readers to stay connected, and see what other people are making. 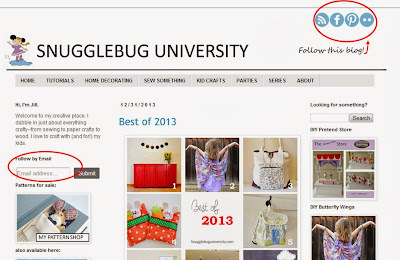 The second way to follow the blog is by email, which you can find via the left hand sidebar. Just plug in your email address and you'll get my blog entries delivered to your inbox. I've also organized the content a bit better with a pull-down navigation menu. You can find some of your favorite posts listed here, or just click on the header category to see all posts in that category. And....that's it! Not too many changes for hours of work, but I hope you appreciate these new changes and make this blog easier to use. 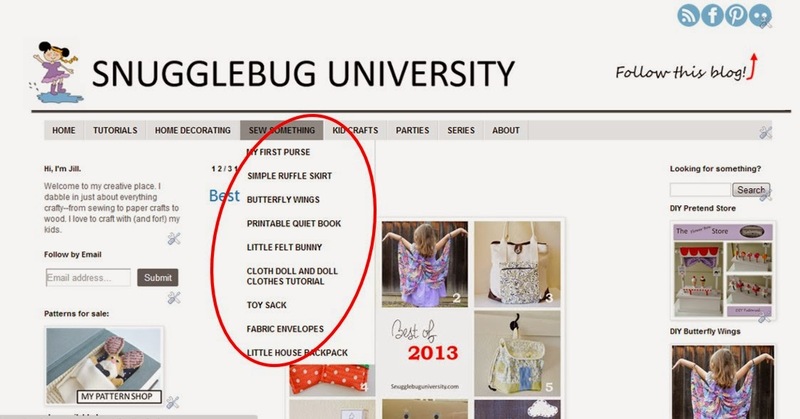 And with web design finished...I'm looking forward to my next craft project. Want to guess what I'm making with .... an old laptop case? hint...more organizing is ahead, but this time it's for the little people. See you back here soon!